Any of our Brit gamers will recognise just what a sun quest is. Heck, they may even have to play this game to get any of it at all, the poor souls. Well, the good news is that when they play this classic from Microgaming their quest will most likely be over, for not only will they have found the sun but also their sunny disposition at the sheer playability offered by this likeable game. This game is classic. Like, seriously classic. If Microgaming could license it they might as well use Ode To Joy for the sound score (that’s Beethoven, by the way). 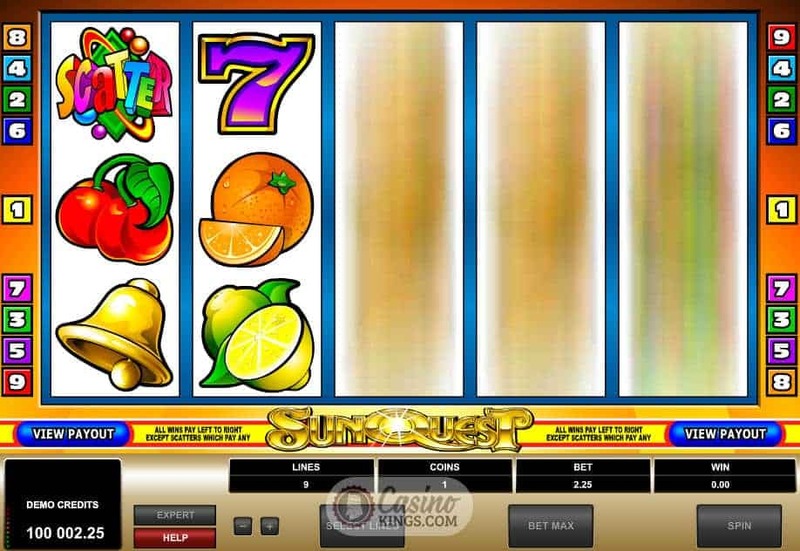 It’s so classic it uses BARS, 7s, Bells, Fruits and Diamonds, not to mention the Golden Sun symbol, the highest of all the symbols that yields up to 10,000 for landing five on a winning payline. 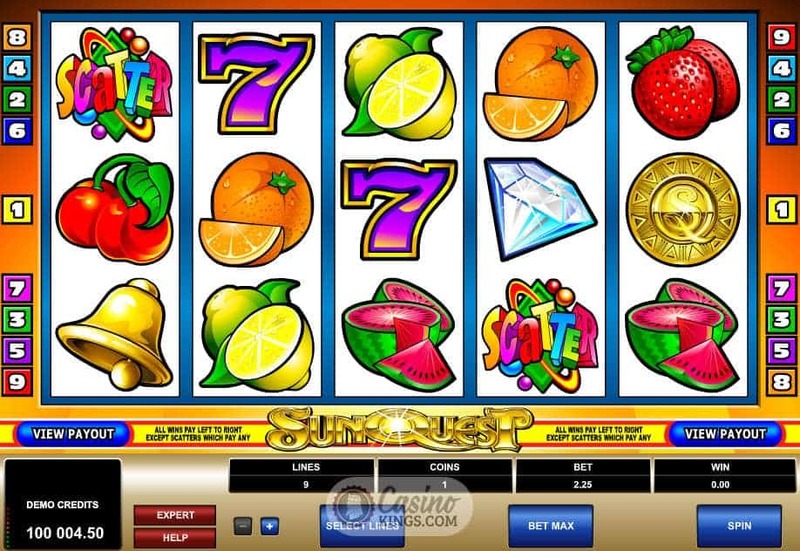 There are nine paylines in total, and all wins pay left-to-right apart from Scatters, which pay any. Minimum bets stand at €/£/$0.25 and range right up to €/£/$18, leaving the door open for some strategy. One feature of this game that will strike you immediately is the speed at which the five reels spin. 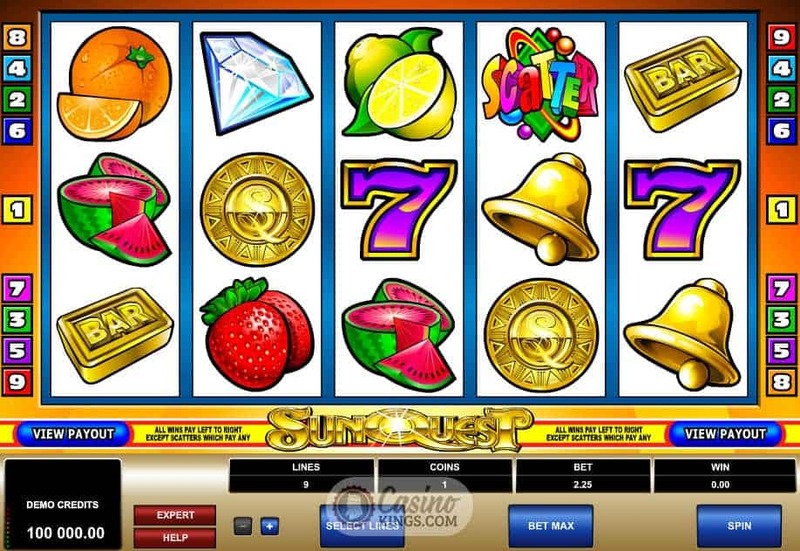 The second is that only two high symbols are needed across a winning payline in order to score, while three are required for all lower symbols – the fruits. Being a classic game this title doesn’t have a free spins feature or bonus round as such, but that’s not to say that there aren’t winnings to be had. The Golden Sunset Wild symbol substitutes for all other symbols except the Scatter symbol, ramping up the base game winnings like a stunt ramp behind a bush in The A-Team. Before we know it we are doing somersaults in the air and handing Hannibal a cigar. The Scatter symbol, literally a madcap Scatter font on a symbol (just to avoid any confusion), adds another bonus element to the classic gameplay. 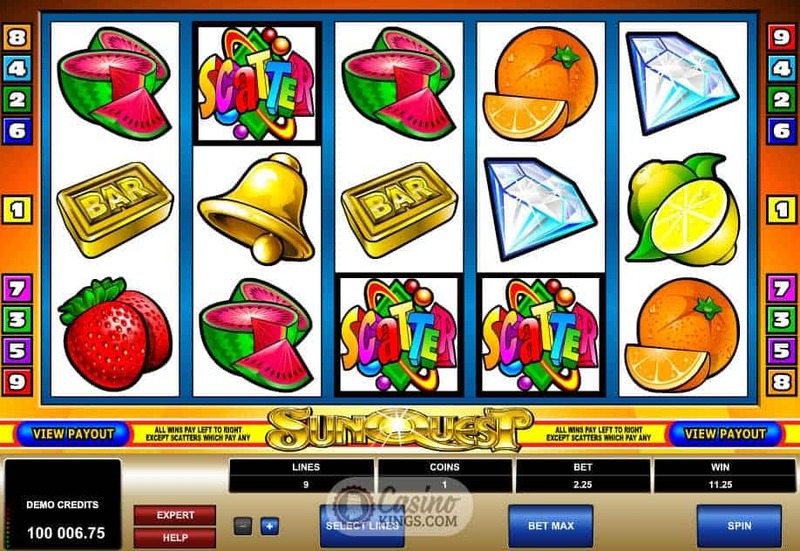 All Scatter wins are added to payline wins and multiplied by the total number of credits staked. This game is as classic as they come. With paired down graphics and sounds it really allows us to focus on the gameplay, and with fewer paylines to worry about it means we can centre all our attention on strategy and betting. Played right, this classic title can provide the sun that British players will long for and can provide the winnings that we all seek when we throw our gaming hat into the ring.